National Fishing Week, encourages families come together and celebrate one of Canada’s oldest family pastimes. 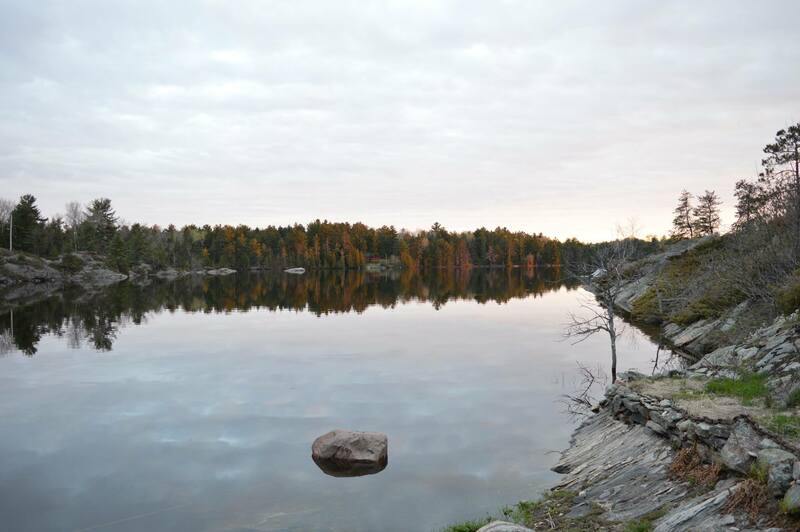 Sometimes its new families that wish to tie new bonds and other families that are keep the spirit of sport fishing alive by adventuring to the French River. One such family is the Duelbergs whose specialize in Large and Smallmouth Bass fishing. While bass maybe their favourite species to fish, they never miss out on any other opportunities. Urs was one of the first in the family to catch a trophy sized French River musky when he was 13 years old in 1986 while fishing with his father. His son, Mathias, continues in his father’s footsteps where the two of them were out bass fishing late evening in the shallows. In about 3ft. of water, the two were using rattle baits when a boil of water surfaced beside Mathias’s lure. Mathias tried his lure once more near the boil, both thinking initially that it was a largemouth until the monster muskie followed it back. 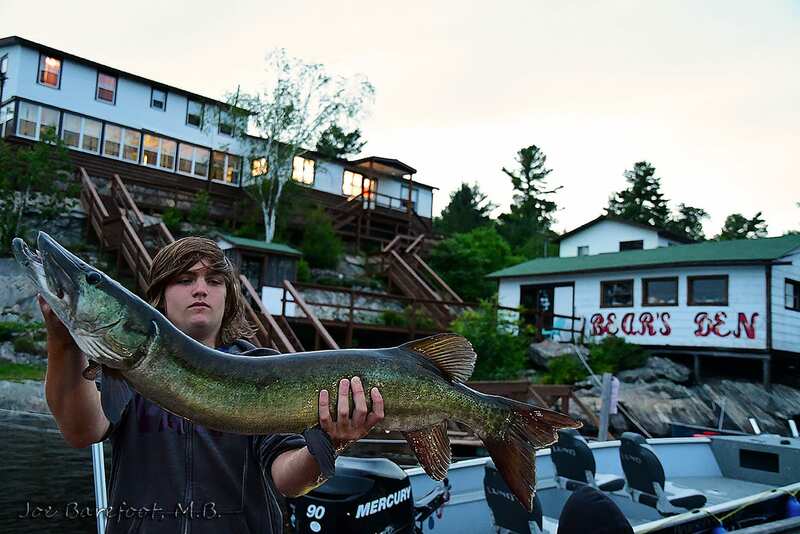 Immediately, father and son decided to work together as Urs threw in a muskie lure beside his son’s, as they worked in tandem to keep the musky interested and chasing their lures until finally the muskie struck Mathias’s lure. Unfortunately, after hooking into the monster the father and son realized they had left their net back at camp. Mathias was forced to fight with the muskie; keeping it from trying to break the line under their boat as his reel constantly squealed from the changing tension he applied when he wasn’t trying to reel the monster back in. After about 20 minutes of fighting on both sides of their boat, the muskie was eventually worn out when Mathias brought it in and, “quickly grabbed it and threw it into the livewell”. Urs turned on both of the live well and the bilge pump before going full throttle back to docks at Bear’s Den where they could get a larger ruler for the official size of the fish. With the whole camp wanting to see the father and son’s success. 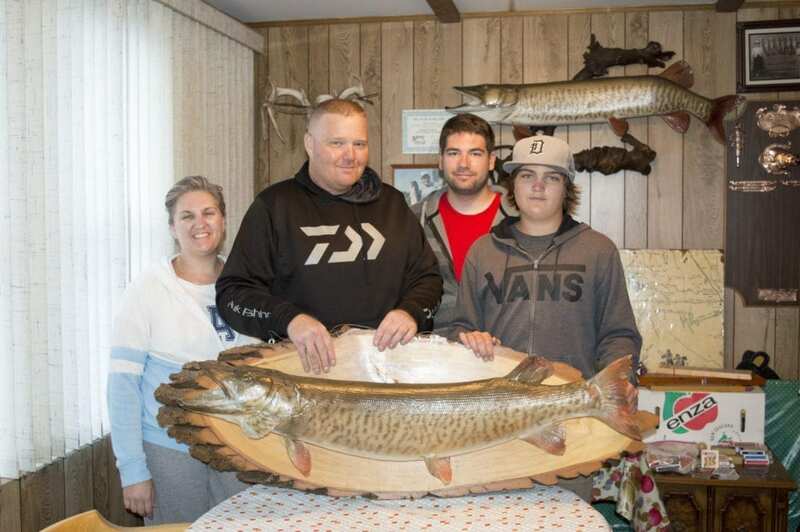 The muskie was measured at 46 inches and after a brief photo op the fish was successfully released back into Bear’s Den Bay, waiting to make another family memory.